Siltcoos is a soft goat’s milk round named for a large lake on the coast of Oregon. 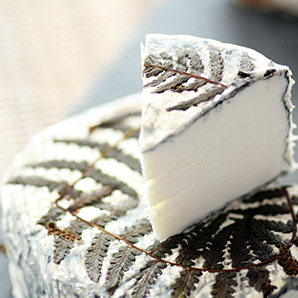 The 8 oz wheels are coated in ash and allowed to develop a bloomy rind that is adorned with a fern leaf. 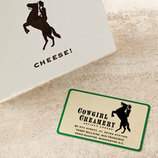 The flavors are clean and delicate, and gradually become stronger and spicier as the cheese ages.